Recently while surfing social media, I came across an article naming the Tennessee River one of the most (micro) plastic polluted rivers in the world. The article caught my attention because I spent about 14 years living alongside the Tennessee River in Knoxville, TN. Also, the Tennessee River, its watershed, its banks, and some its tributaries often served as my classroom where I learned about hydrology, aquatic macroinvertebrates, soil science, land-use practices, and water chemistry. Researchers identified about 18,000 microplastic particles per cubic meter of water found in samples. It surprised me that I studied, lived by, and recreated on a river highly contaminated with a pollutant and was completely unaware of its condition. Two questions came up in my mind after reading the article. First, what is the condition of other rivers in the United States concerning microplastics, I hypothesize there’s nothing particularly unique about the Tennessee River that should make it more susceptible to plastic pollution than other rivers in the United States. Second, are non-scientists aware that plastic becoming a problem in waterways? Plastic pollution can be found in many different shapes and sizes. Microplastic is defined as plastic that is under 5 millimeters in length. This is something about the size of a sesame seed or smaller. Some microplastics are so small they can only be identified under a microscope. Some microplastics are developed in manufacturing and production processes (think microbeads formerly found in shower gels). 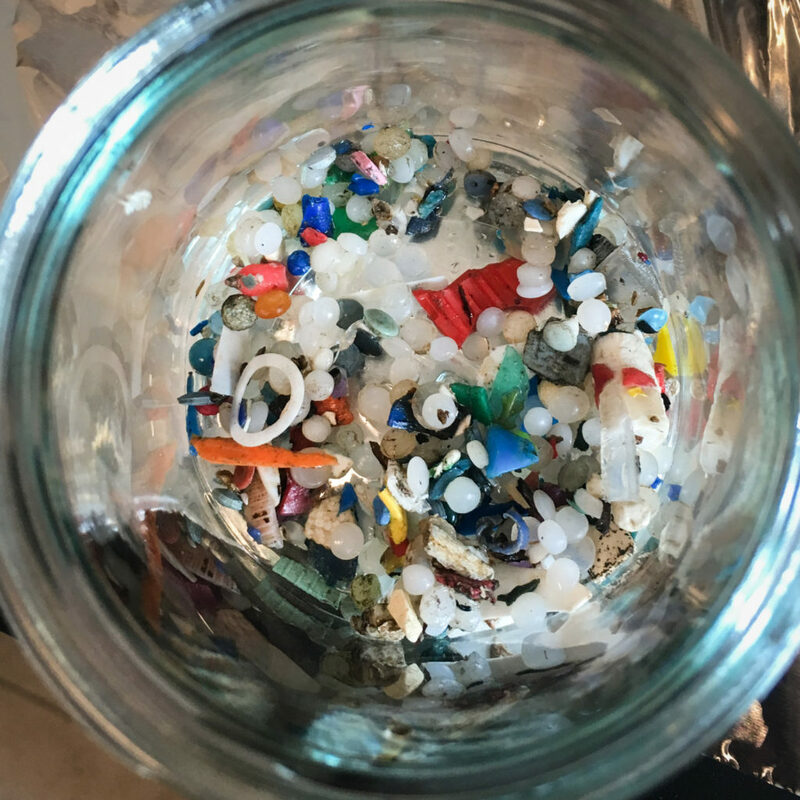 Other microplastic results from the breakdown of larger plastic pieces. However, unlike organic materials, which will slowly decompose, plastic does not decompose. It only breaks down into increasingly smaller pieces. Where are we finding microplastics? Most research on the occurrence of microplastics has happened only within the last five to ten years. Until very recently, microplastic research focused on salt water and oceanic systems. In 2016, researchers in Chicago studied local streams to determine if there was an increase in microplastics downstream of wastewater treatment plants. The researchers found higher concentrations of microplastics downstream of the wastewater treatment plants, with an average of 1,338,757 pieces of plastic per day, compared to upstream samples on 8 out of 10 streams. In one case they found up to 4,732,709 pieces of plastic downstream of a wastewater treatment plant! In other research, U.S. Geological Survey and State University of New York Fredonia scientists sampled rivers flowing into the Great Lakes3 to find out which kinds of microplastics are most commonly found in rivers. The USGS scientists found that fibers composed an average of 71% of the total number of microplastics particles found in samples of river water. 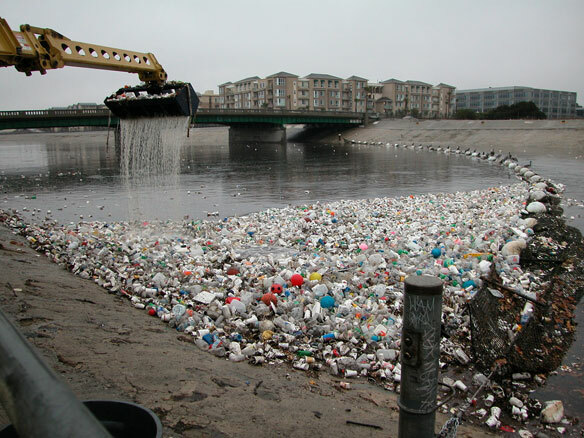 You can learn more about the USGS work about microplastics in water here. Why are plastics in water a problem? What can we do to prevent plastics from getting in our waterways? In considering water quality, the website Earth Day Network recommends everyone focus on three things: prevention – limiting the amount of plastic that reaches any body of water; innovation – finding new ways to remove plastic that is already in our waterways and water supply; and activism – making citizens part of the solution by building a culture in which people actively think about and participate in reducing plastic consumption and contamination. Prevent the creation of microplastics by choosing products with non-plastic packaging. If disposing of plastic, do so properly, being careful not to toss plastic products near waterways, beaches or in open spaces. Pick up trash -especially plastics- whenever you see it, especially in ponds, streams, rivers, and beaches whenever possible. Participate in organized clean-up activities as much as you can. 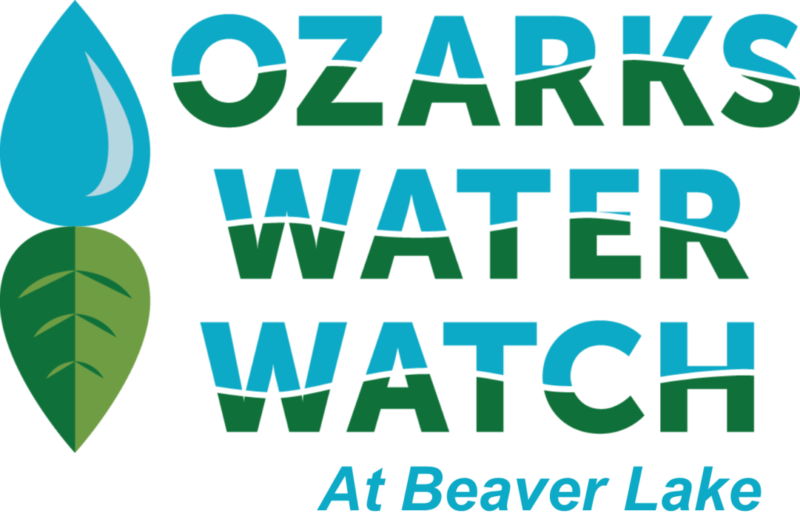 Local cleanups are conducted by us and our partners with the Beaver Watershed Alliance, Illinois River Watershed Partnership, and Northwest Arkansas Land Trust, among others. Do not use products containing microbeads. Choose products that have natural exfoliators instead.